* For Combiners/Gestalts, please add $50 CAD due to fiddliness! Josh/@Barricade64 on Twitter. 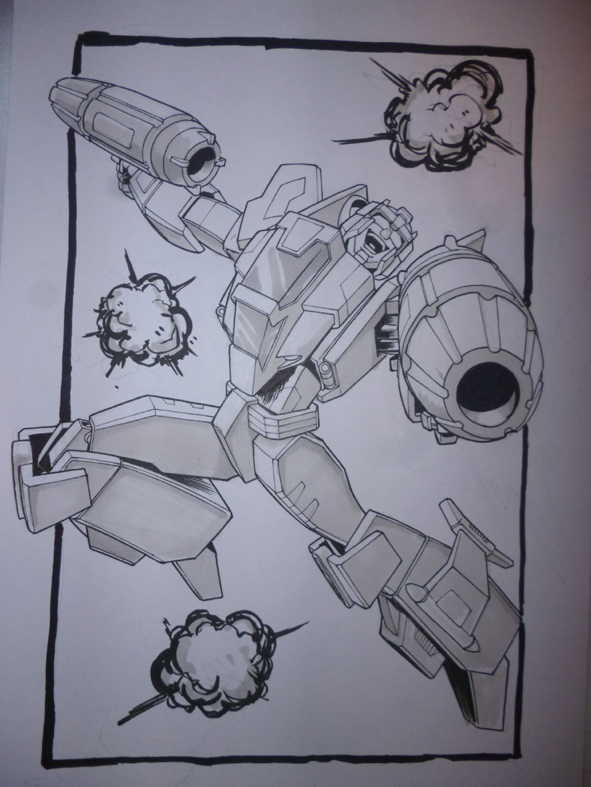 I was hoping to get another commission of Sideways from Armada but this time with the grey head he had for most of the series and no faction symbol. I’ll be at the con all 3 days. If you need any references let me know and I can grab some. Thanks! 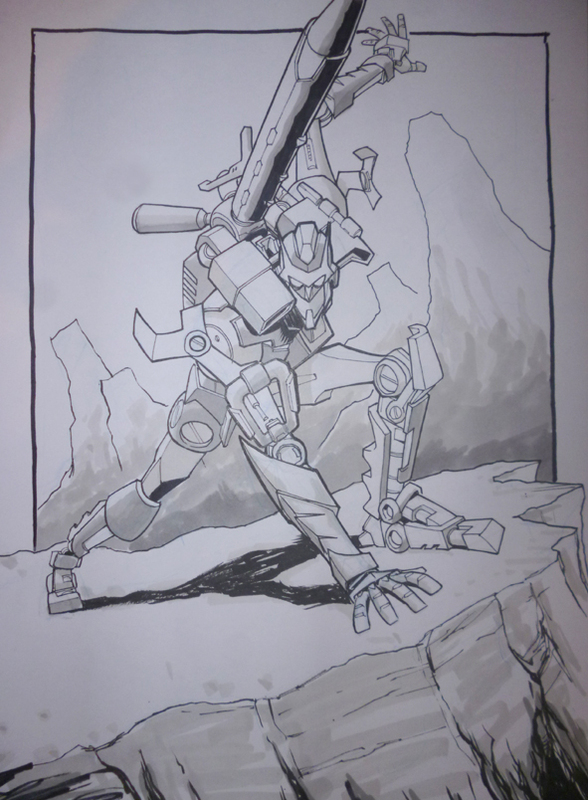 My name is Katherine and I would really like a commission of Whirl. I'll be at the con all 3 days. Thank you so much! My name is Sergio, @ThirdSergio on Twitter. I was wondering if you would be avaiable to do a scene/two-bot commission of Prowl and Tarantulas styled after a promotional poster for Spider-Man 3. I'm going to be in Toronto the week before TFCon until Monday night, so anytime during the convention will be fine. If you'll be busy tabling or selling, I guess Sunday will be the best day then! Also sorry of this pops up a lot...I'm having a heck of a time getting this done on mobile, so i'm running to a PC! Hello! Morgan/moyaofthemist here! I'm polling my twitter friends to decide what to do for the commission, but since it's currently a unanimous vote, I figure I may as well just make the request (although if you like either of the other prompts better, I am 100% on board for those as well). Mostly I want a happy father and son family photo. If you would enjoy drawing Ostaros/Springer as a baby instead, for example, I would be down with that, too. I'm flexible! As for con day, I'd be getting somebody else to pick it up for me, so I'm not super confident which day is most likely. Sorry! Hopefully this all made sense. My baby isn't yet sleeping through the night, so neither am I, hahaha. Please let me know if you have any questions! 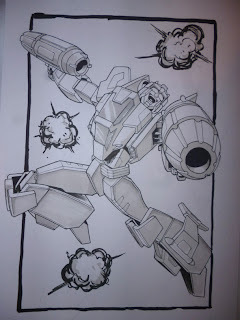 My name is Carlos and Perceptor was one of my favorite characters growing up, as I was kind of a nerdy kid. The Last Stand of the Wreckers version with the scope eye patch and sniper type rifle was just badass and gave him even more coolness! I would love that incarnation of Perceptor please. I will be there all 3 days, so can pick up all weekend. My name is Mike H and I would love a commission of Kup from this Spot light were he’s a mangled mess. I’ll be at the convention all weekend but I can pick it up Saturday afternoon. Thanks! Hi, Nick, it's Audrey (again). I was wondering if I could get a commission of TFP Orion Pax reading a datapad in the Archives! 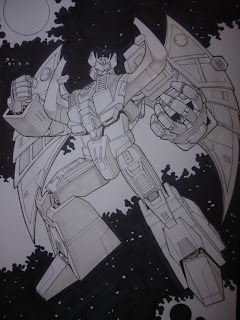 I have the Transformers Prime art book if you need any references from me. I'll be at the con all three days. Thanks! 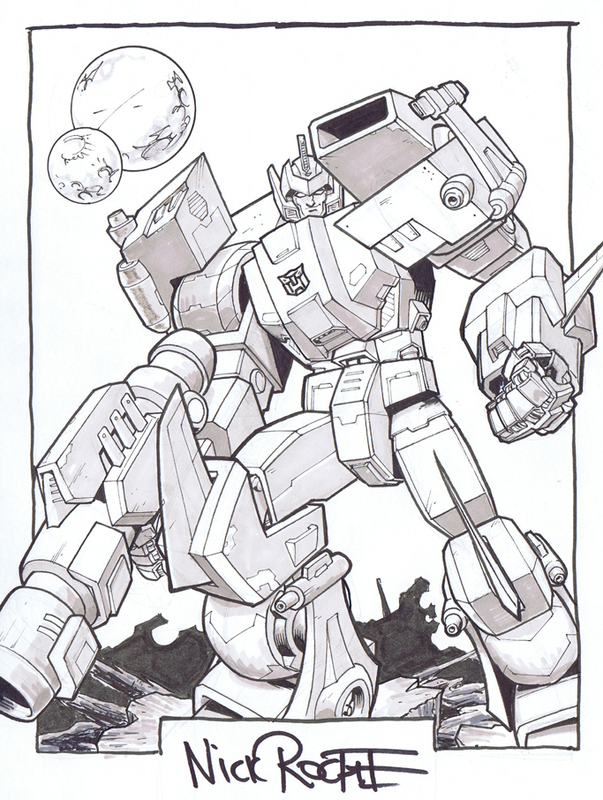 My name is Jim L and I would appreciate a commission of Ratchet. 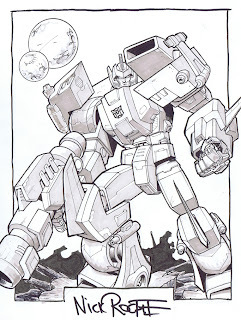 Early MTMTE IDW or Marvel G1, as you prefer, but not really looking for a grumpy or old version - I prefer when he's just awesome. Ideally it would be something like G1 Ratchet facing off against Megatron as he did in the G1 books, or IDW Ratchet... doing something similarly awesome? Arguing with IDW Megatron? I know Drift/Ratchet teamups are popular right now, but I'm not interested in that. Currently planning to attend on Saturday, and would also be interested in learning what original art you'd have for sale. Hey James! No problem, but just need to clarify, a real you looking for a single shot of ratchet ready to throw down, o the do you want a second figure (Megatron?) In there too? Cheers! Hi Nick! My name is Sivan, over here from the other thread— I was hoping to commission IDW Springer and Verity having fun together in the Alaskan summer. My idea involved a tire swing (after all, what better way to set one up than to use the help of your robot friend taller than most trees), but the details are up to you! Thanks for taking the time to ask, Nick. I hesitate to get too specific because I find artists usually have far better ideas than I do. I know you've already redone the old TFUS #7 cover for Generations, and I wouldn't want to ask you to repeat yourself... although if you had an idea for another way to redo that cover that was more Ratchet-centric, that would be fine by me. If you've got a dynamite idea that involves either G1 or IDW Megs, I'd trust your judgment (and if I need to pay extra for a second character, that's fine, I understand - please just let me know so I can be sure to bring adequate cash). I know you are awesome at making characters look awesome, so I would just really like your take on my favorite. If we need to discuss or if you really need a more specific idea from me, you can reach me at jim.lemoine(at)verizon.net.